Whatever happens with the great Hunter Foster? Does he return in a big way in Act 2 or he totally underutilized as well? You know I love Hunter. He’s in quite a bit of the show, but his character doesn’t hold the same weight as the main couple. I don’t want to spoil any of Act II though. He does get to sing some tunes, but Bud remains a supporting character throughout. I recently saw “Bridges” in previews on Broadway and felt exactly the same as you did! I eagerly anticipated this beautiful storytelling drama of a life and love not fully realized. Having loved the book and movie it certainly had much to live up to. 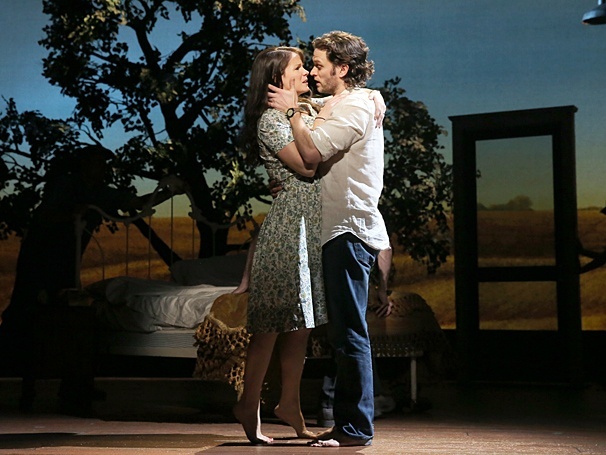 The brilliant Kelli O’hara and Steven Pasquale did the storyline justice, and their love songs carried much of the show! However Act II was hugely disappointing as the writers seemed to run out of steam (and story) and seemed like a quick predictable fast-forward of Francesca’s safe boring life choice. It seemed cheap and hokey at times! The other actors were written as caricatures. It did not even come close to the depth and intensity of the characters in the movie!